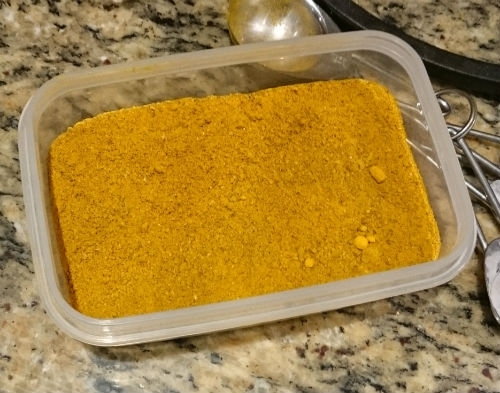 Make the curry powder – best to dry-fry the spices first, they’re so much tastier. 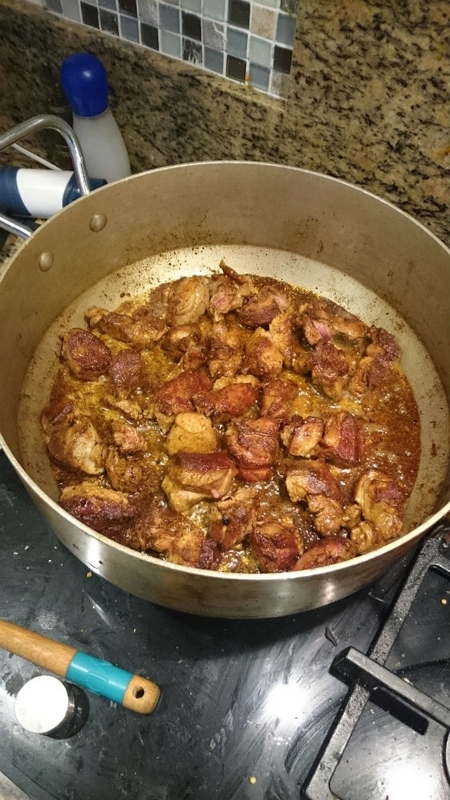 Pat the meat dry and brown well in the curried oil. Do this in batches, don’t overcrowd the pot. It takes a while to do this but it’s worth it. 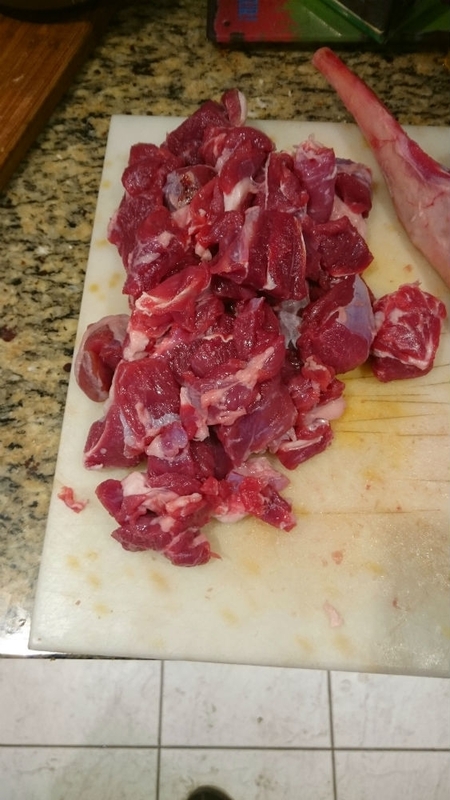 When the meat is browned, set it aside in a bowl. 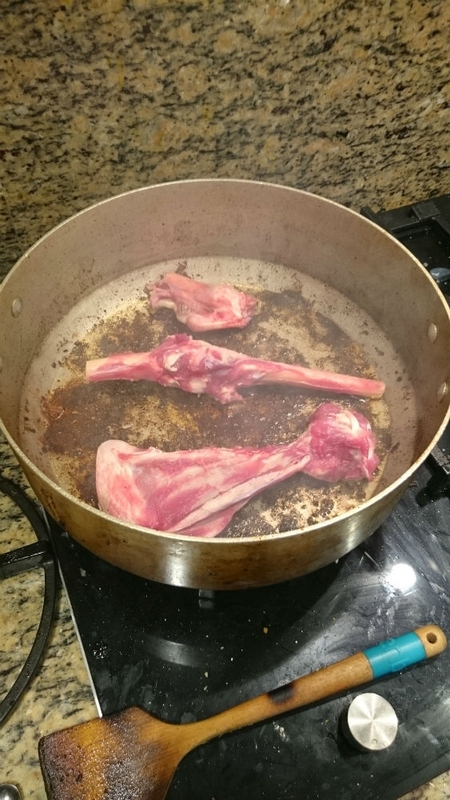 If you’ve got the bones, brown them off as well – the stock you get at end is fantastic. Add the onions and peppers to the pot and saute, stirring from time to time, until the onions start to brown – takes about 5 minutes. Add salt while cooking. Add in the ginger and garlic, mix well, keep cooking for another couple of minutes. Put the meat and bones back into the pot along with the juices from the bowl. 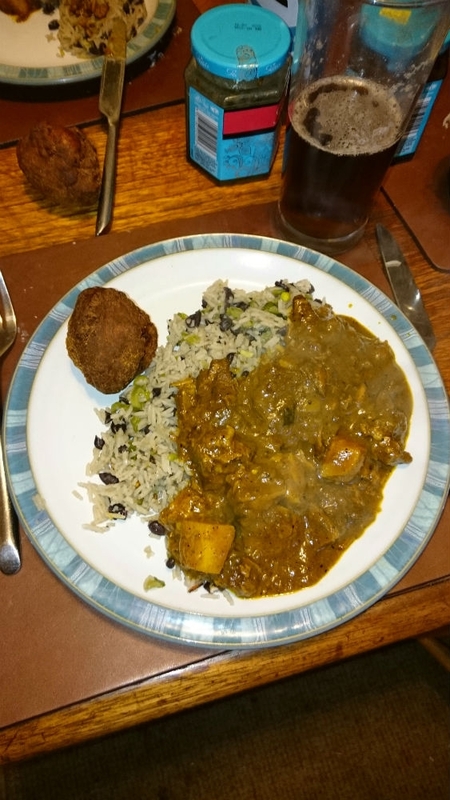 Mix well, pour in the coconut milk, passata, 5 tablespoons of curry powder. Stir to combine, add the water, thyme. Bring to a simmer and leave it there for 2-3 hours. 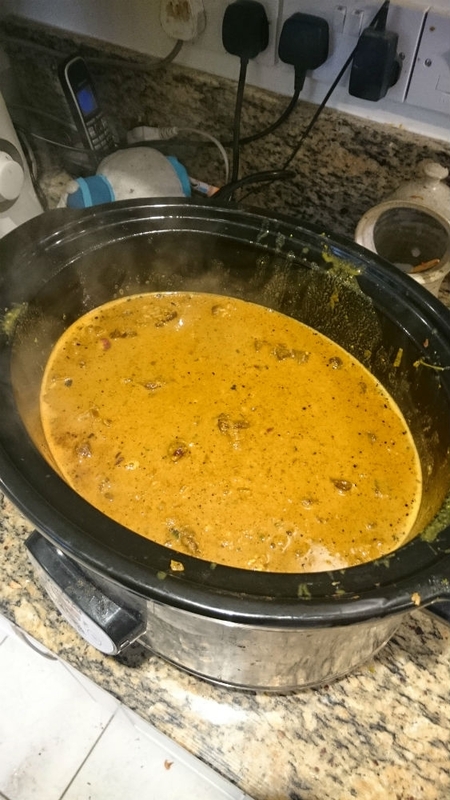 We transferred ours to the slow cooker at this point, gave it 6 hours on low. 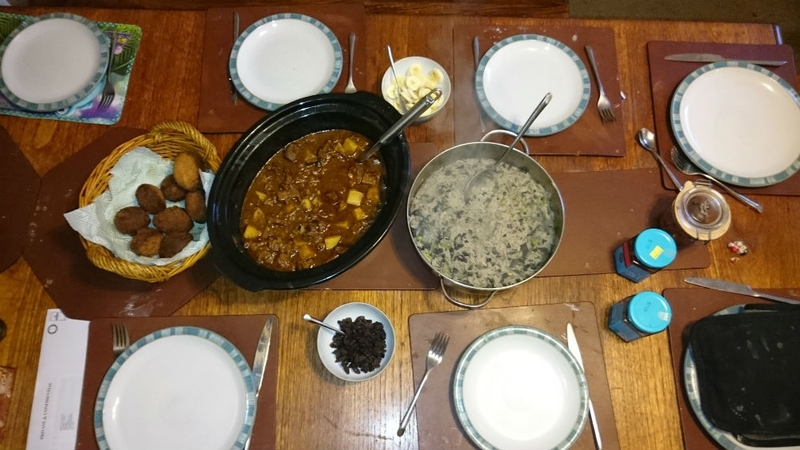 Once the meat is close to being done – tender but not quite falling apart yet – add the potatoes and mix in. You’re ready to go once the potatoes are done. Check seasoning and add salt if you need to. 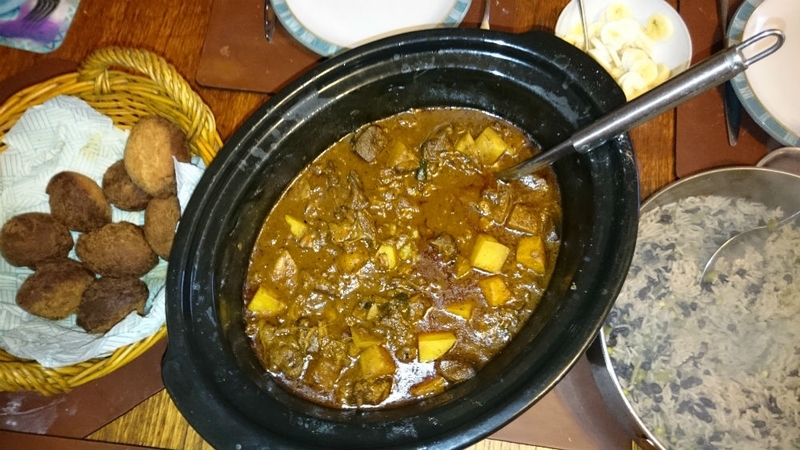 Go ahead and grab a curry recipe. Just about any will do. 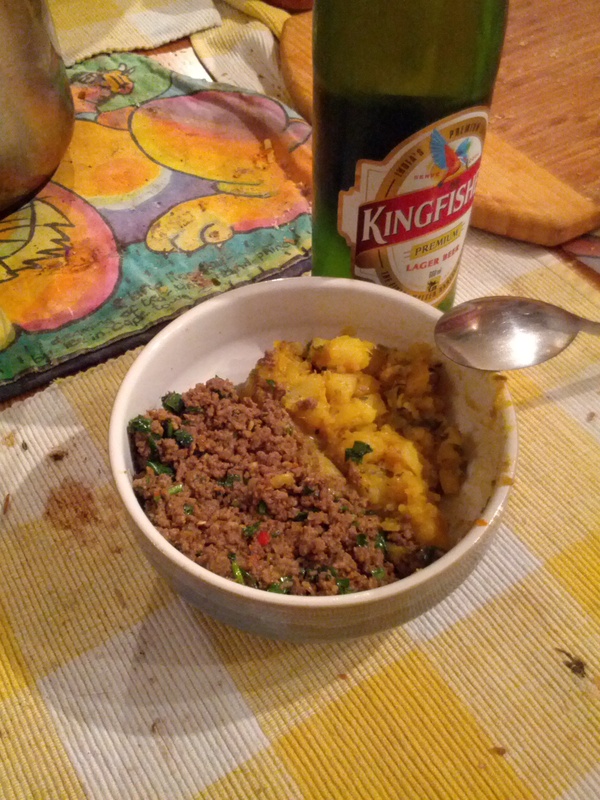 If you’ve not got one handy, there’s a Keema Aloo here on this site that will work for demonstration purposes, open it in a new tab. Failing that, pop over to The Curry Guy’s site, he’s got hundreds (and they’re all winners, especially that Goan Sorpatel). Look down the list of ingredients. Do you see ginger and garlic? Cool. Chances are if you look at the recipe you’ll be adding them at the same time and it’ll be roughly 2-3 cloves of garlic to 1″ of grated fresh ginger. 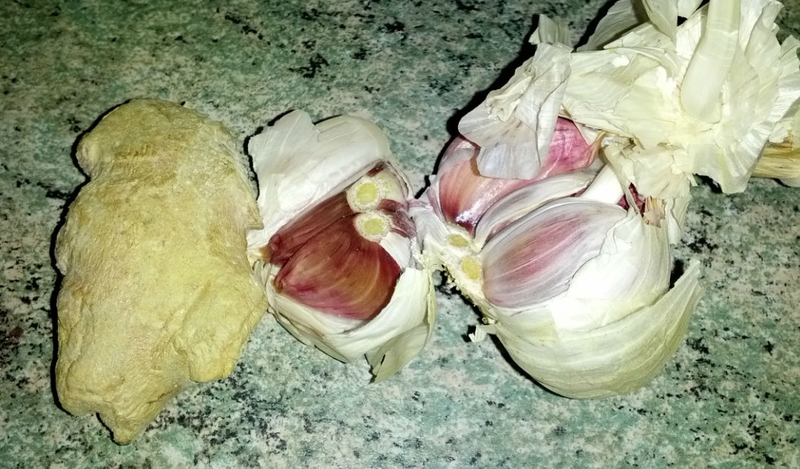 Take 4 full heads of garlic, peel them, put the cloves into a blender. Take a large piece of root ginger, peel it, chop it into 1″ chunks and put it into the blender with the cloves. Add about a tablespoon of sunflower oil. Transfer the lot into an air-tight container and store in the fridge. Now when your curry recipe calls for 1″ ginger and a couple of cloves of garlic, add 1 tablespoon of this garlic and ginger paste instead. Oh, and the smell you get when you open this pot to use it? Divine! 1, Heat oil in pan over medium heat, add onions, garlic and ginger, fry for about 5 minutes. Add cumin, coriander, turmeric, cayenne and garam masala, cook for another 5 minutes (this will stick, add a bit of boiling water to loosen it). 2, Increase to high, add lamb mince and cook, stirring constantly to break up the meat. Add the yoghurt and let it combine. Add the OJ,zest and bay leaf. 3, Bring to the boil, reduce to a simmer and cover. Cook for 45 minutes or so. 4, Season to taste (it’ll need a lot of salt). Stir through the chilli, coriander and mint just before serving.